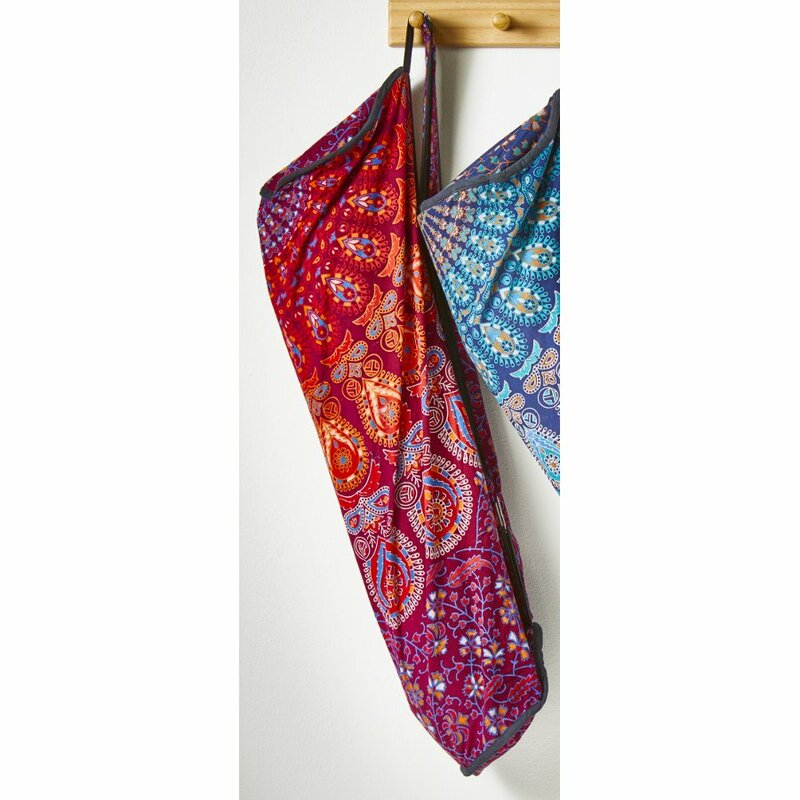 This Namaste yoga bag is made from cotton and is completely vegan-friendly. This cotton material has a gorgeous maroon tone, which is decorated with an exquisite peacock feather style pattern. Inside you’ll find more than enough room for your yoga mat and on the outside is a handy strap to make carrying the bag easy and comfortable. Every bag that Namaste makes is handcrafted in a fair trade environment, which is certified by the British Association for Fair Trade Shops (BAFTS). The Yoga Bag - Maroon product ethics are indicated below. To learn more about these product ethics and to see related products, follow the links below. There are currently no questions to display about Yoga Bag - Maroon.